Sea levels are rising at an increasing rate, threatening coastal communities with floods and storm surges. At the same time, ecosystem health is being weakened, leaving shorelines less able to protect communities from impacts. 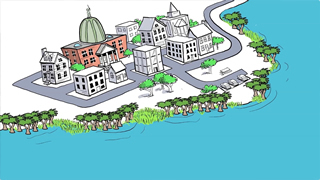 This video illustrates how coastal communities can restore natural resilience and adapt to sea level rise.